Interstate 195 is an east-west highway in Northeastern Rhode Island. 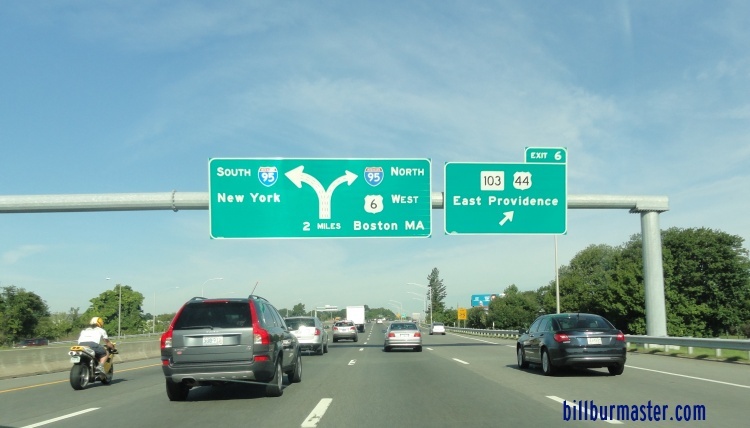 It runs from Interstate 95, east to the Rhode Island/Massachusetts State Line, at East Providence. 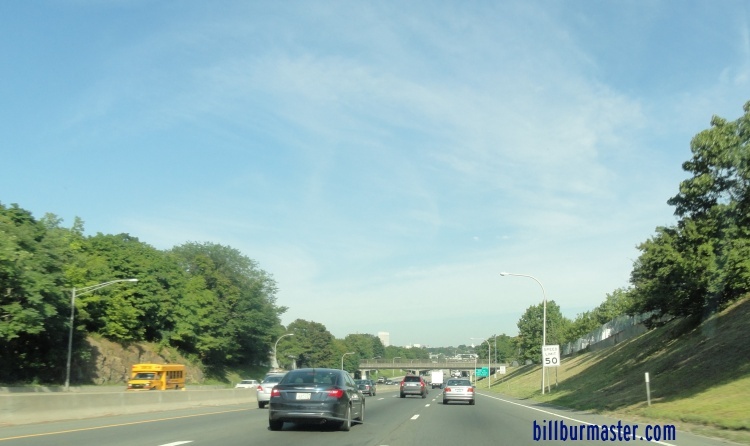 While in Rhode Island, I-195 is multi-plexed. ...U.S. Rt. 6, from Providence to East Providence. ...U.S. Rt. 1A, from Providence to East Providence. ...U.S. Rt. 44, from Providence to East Providence. 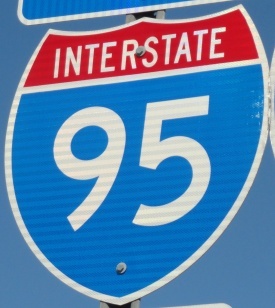 While in Rhode Island, Interstate 195 intersects the following interstate. 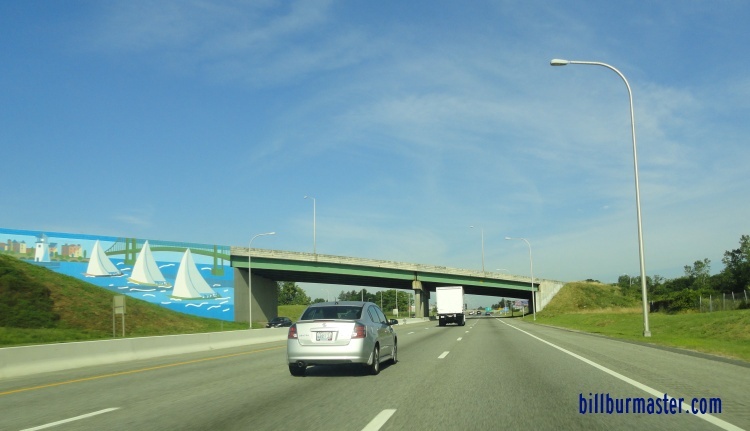 WB I-195/U.S. Rt. 6-44/SB U.S. Rt. 1A two miles from I-95. 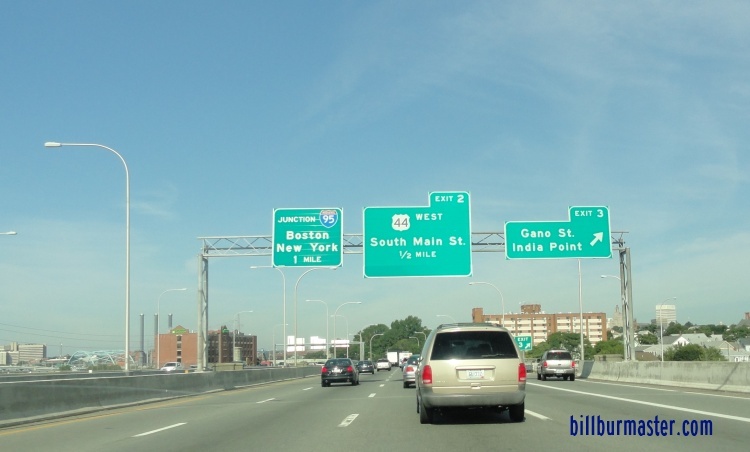 WB I-195/U.S. Rt. 6-44/SB U.S. Rt. 1A one mile from I-95. 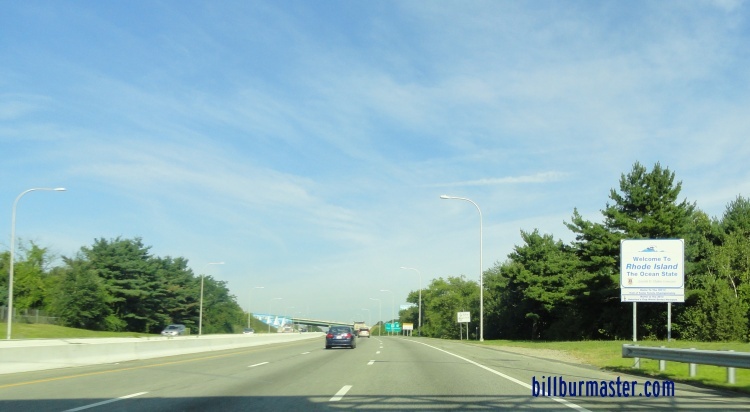 WB I-195/U.S. Rt. 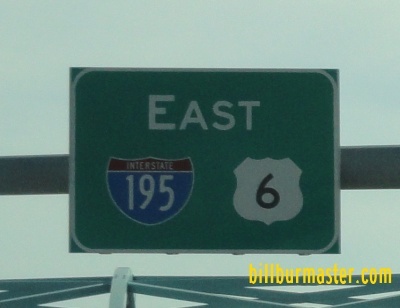 6 near I-95. 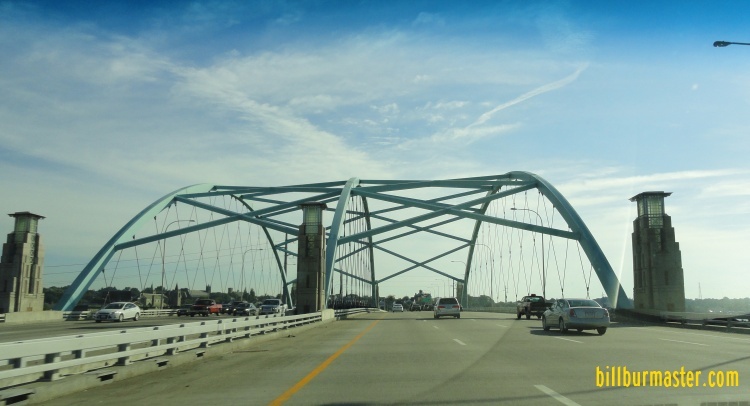 WB I-195/U.S. Rt. 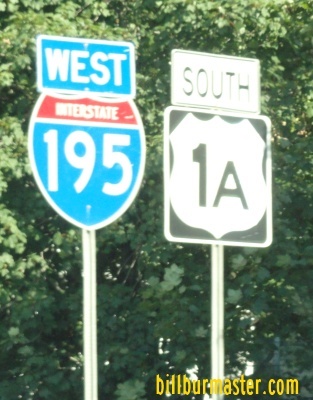 6 at I-195. 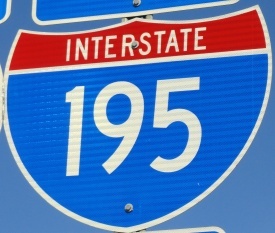 Info on the parent highway of I-195 in Rhode Island. A set of guide markers in Providence. 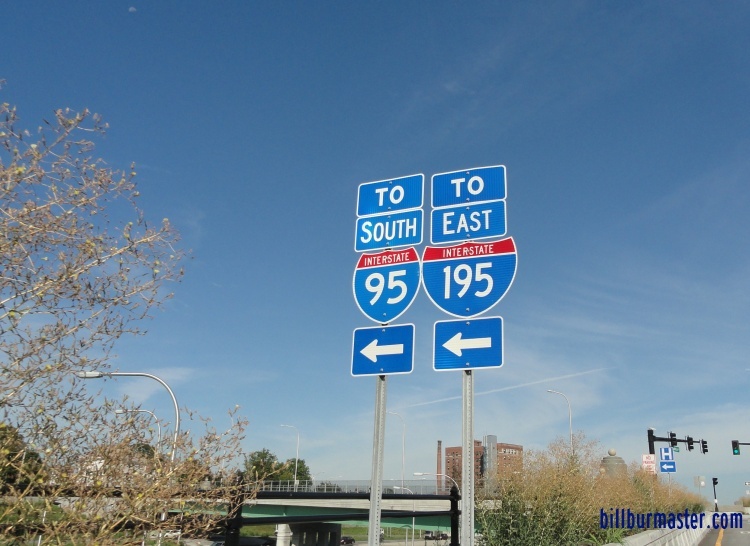 EB I-195/U.S. Rt. 6 at the Providence River Bridge. 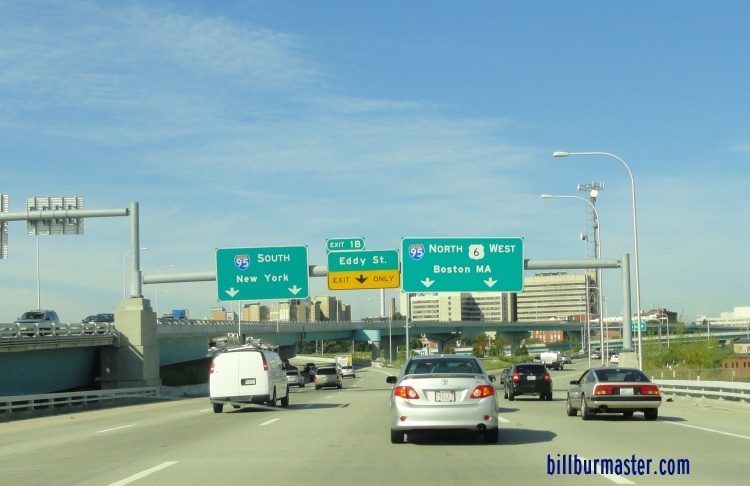 WB I-195/U.S. Rt. 1A-6-44 near India Point Park. 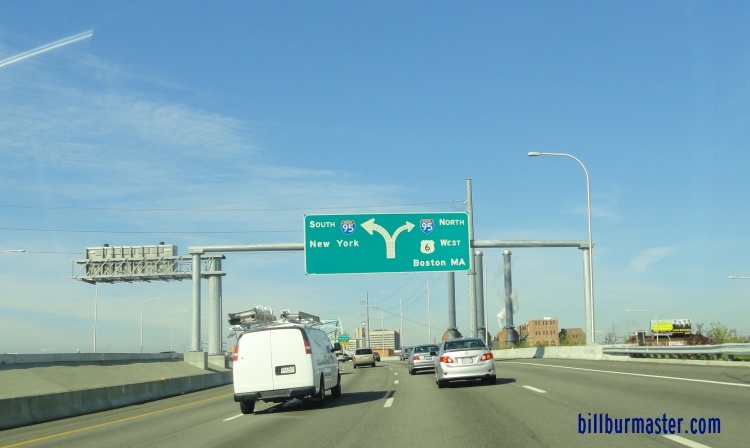 EB I-195/U.S. Rt. 1A-6-44 near RI St Rt 103. 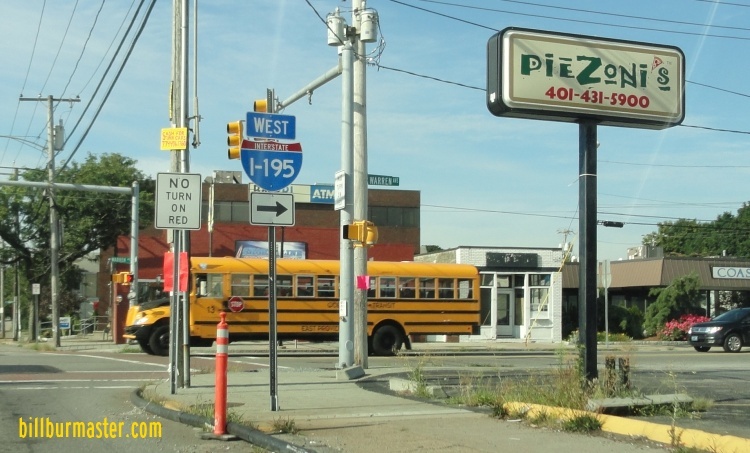 A guide marker in East Providence. WB I-195 in East Providence. 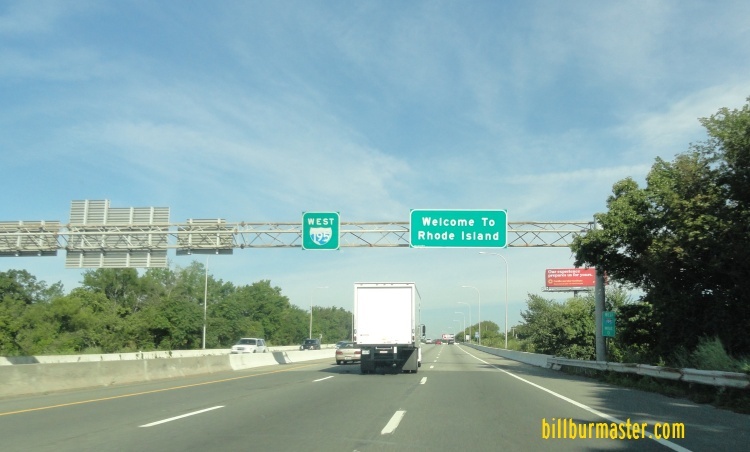 WB I-195 at the Rhode Island Welcome Sign. 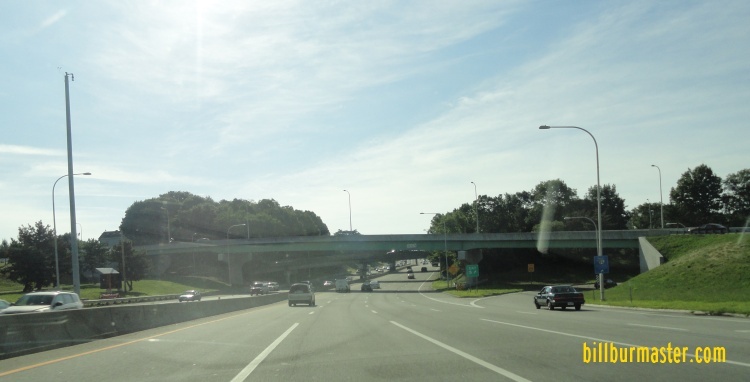 WB I-195 at the Rhode Island/Massachusetts State Line.